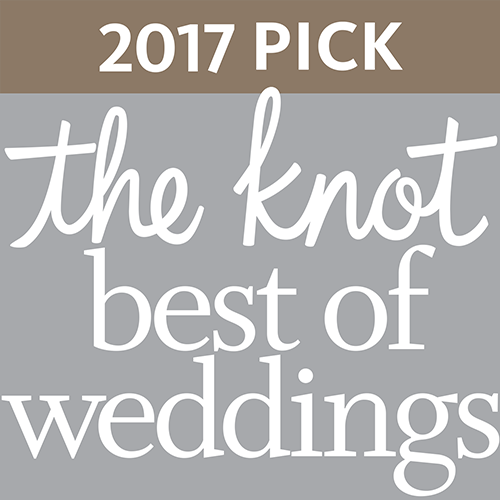 If you’re considering trialling one of the many different styles of wedding updos, don’t forget to try the classic chignon. 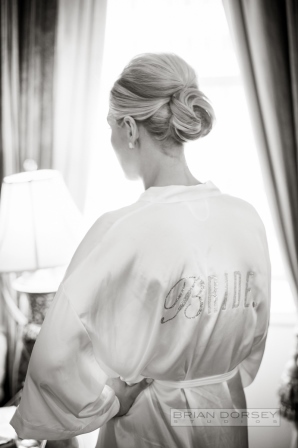 We think it was the perfect choice for our bride Danielle when she walked down the aisle in a light-as-air wedding gown and full veil. 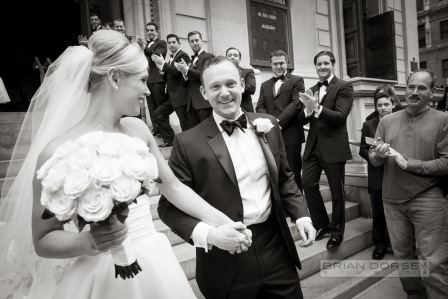 Danielle wed her beau, Chris, at Church of Saint Ignatius Loyola on Park Avenue. 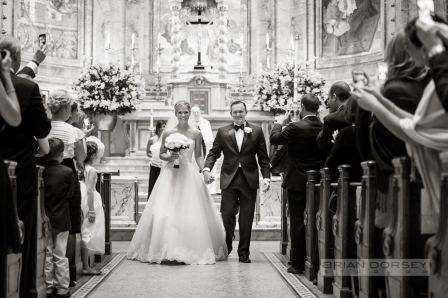 “As the doors of the church opened, I could see Chris waiting for me at the end of the aisle with a look of happiness I have never seen before,” says Danielle. 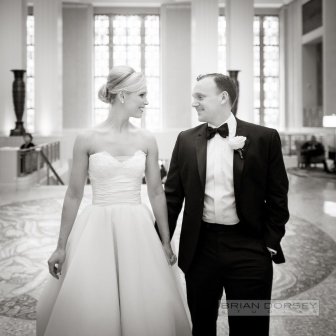 “At the same time, the other most important man in my life, my dad, walked me down the aisle past all of the people we love in our life together, and brought me to my husband. 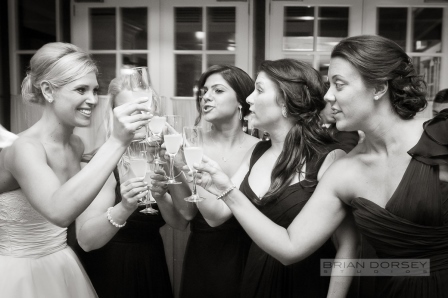 Then they moved on to the reception at The Loeb Boathouse, Central Park. 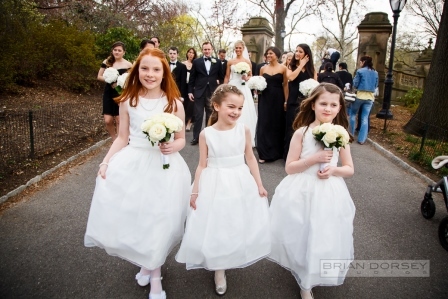 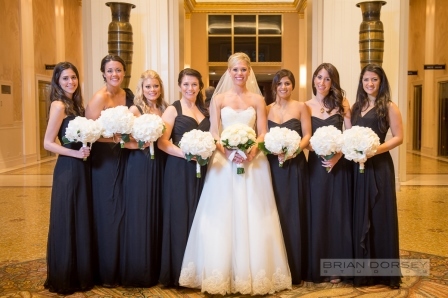 Danielle’s gown was by Anne Barge from Kleinfeld, and Lenox Hill Florist took care of the flowers. 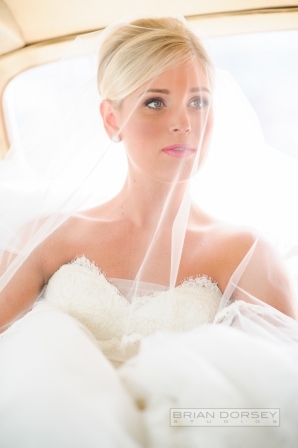 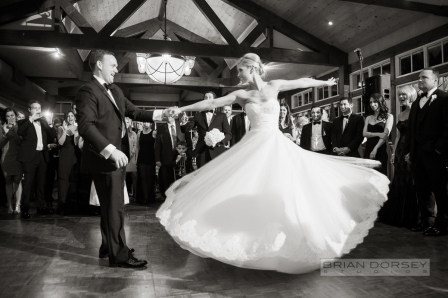 These stunning photos are by Brian Dorsey Studios.